Our Functional Medicine patients are presenting to us younger and sicker than in any other time in our careers. But what is Functional Medicine and how can we help YOU? Functional Medicine is an individualized medical approach based on scientific evidence that identifies the root causes of disease and promotes patients “living at their highest quality of life”. 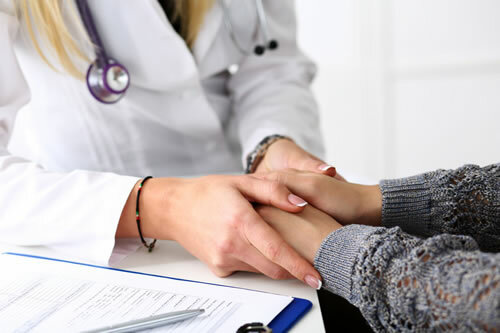 We learn, in great detail, your genetic, biological, and current lifestyle issues that allow us to develop a personalized treatment plan that will lead to your enhanced quality of life. You may have been told that what you have is not fixable, your labs are normal so you are “fine”, and/or there is no solution and you will simply have to live this way for the rest of your life. We understand your frustration and are here to listen to your story and help you find the answers to your underlying medical issues. As Functional Medicine doctors, we try to avoid the current trend in today’s medical climate – you present with a symptom or diagnosis and leave with prescription(s) in hand. Instead, we identify the root cause(s) of your medical issues and help you reverse them. By addressing root cause rather than just the symptoms, we are able to address the WHY you feel the way you do and HOW we can improve that. Our goal is to help you feel your best self without relying on the challenging side effects of pharmaceuticals. By focusing on the main drivers of chronic disease – inflammation, deficiencies of vitamins and minerals, and an inability to detoxify (or remove) out what the body does not need – we can identify where your challenges may be and help you improve them. Through our lifestyle pillars – nutrition, exercise, stress management, sleep hygiene, and loving kindness – we help your body restore the balance or equilibrium it has been striving for.